MOSCOW BALLET’S GREAT RUSSIAN NUTCRACKER - DOVE OF PEACE TOUR! Rich with charm and wait list-worthy restaurants, a visit to Charleston nourishes both body and spirit. Three years ago, on a hot October afternoon in Charleston’s Washington Square, I found myself gazing toward the ground where my now-husband was balancing on one knee in a patch of dappled sunlight. Pinched between two fingers on his outstretched hand was a delicate, twinkling diamond ring. The few minutes that followed are still a bit of a blur, but the butterflies we feel in our stomachs when we think back to that day—and when we think of Charleston— are as strong and clear as ever. Those life-changing few moments will forever link us to the Holy City, but as much as that square and its brilliant sunlight are emblazoned in our memories, there’s something else about that weekend that we’ll never forget: the food. For my husband and me, food has always been linked to celebrations, from graduations and promotions to birthdays and beginning new jobs. And so we spent that weekend in Charleston hopping from one buzzed-about restaurant to the next, from a five-star dinner and free flowing bubbly at Sean Brock’s Mc-Crady’s to an indulgent breakfast of pecan waffles and buttery biscuits at Low Country Bistro. With a carriage tour around the historic parts of town and long walks along the city’s battery at sunset, the fairytale was complete. When it came time to plan a return visit to Charleston in 2016, we knew just where to start, and we got to work securing reservations around town. After checking in to our sunny suite at The Restoration Hotel, a well designed and wonderfully located hideaway on Wentworth Street just off King, we set out for dinner at Indaco. Cozied up at a narrow table next to the open kitchen, we shared a dish of creamy-as-could-be burrata, sprinkled with pickled blueberries, crunchy pistachios and delicate, fresh herbs. A melt-in-your-mouth margherita pizza followed, as did a bowl of pillowy, homemade black pepper tagliatelle. A crisp and refreshing Lowcountry Bolle—Prosecco, Aperol, limonata and Hella Citrus bitters—cleansed the calorie-laden richness from my palate. 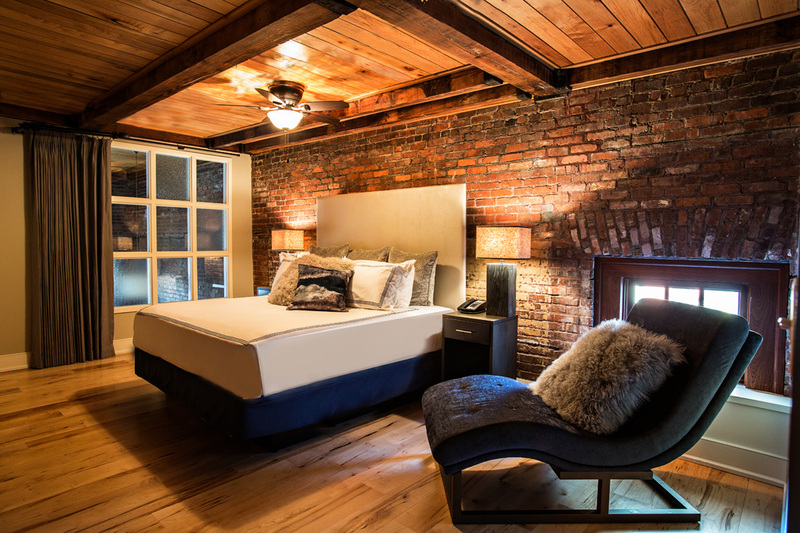 In the morning, we were loath to emerge from the warm cocoon of our king-size bed back at The Restoration, but were ultimately lured out by the promise of more discoveries to be made on a sultry Charleston summer day. We strolled through the manicured grounds of Boone Hall Plantation in Mount Pleasant, where a tour of the house took us back in time. By lunch time, we were craving relief from the heat, so we slid into a corner table at Little Jack’s Tavern on King Street. 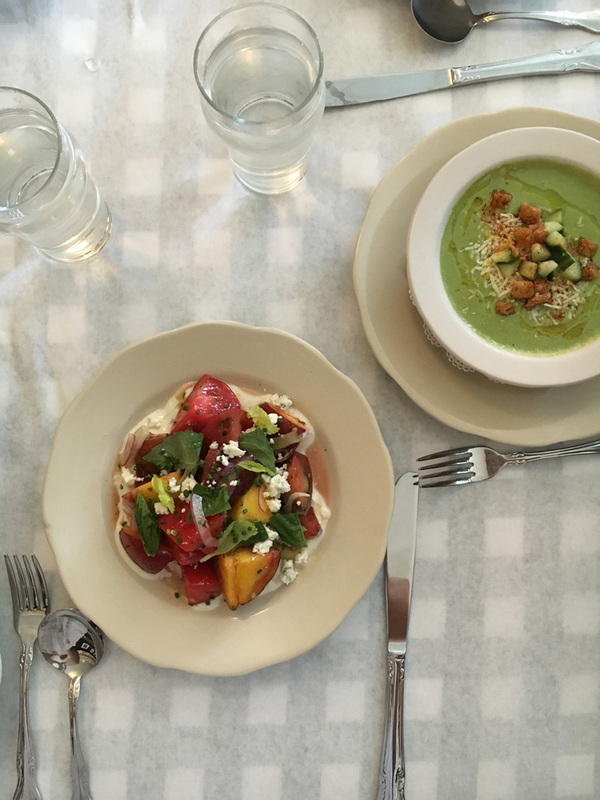 There, we were delighted when bowls of chilled, mint-green summer soup arrived, along with heirloom-tomato-and-peach salads that were borderline too pretty to eat. A shrimp-and-farro salad to share rounded out our light, summer lunch and sealed the deal: We’d be back here again, for sure. From there on out, our world revolved solely around food. 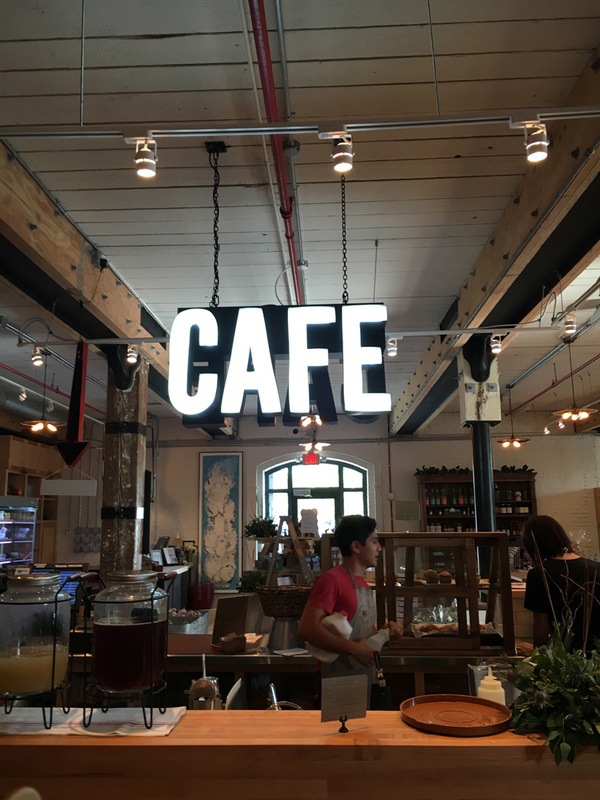 On a quiet Saturday morning, we lingered over a breakfast of crispy, chewy homemade English muffins, cheddar-and-chive grits and an otherworldly Nitro Vietnamese iced coffee at Mercantile and Mash. That evening, with a couple of old friends in tow, we sipped Champagne cocktails at The Ordinary’s bar and feasted on farm-fresh vegetable dishes (think tempura squash blossoms and crunchy roasted carrots) and whole roasted fish at The Grocery. We were the last patrons to leave the restaurant, and we waved goodnight and thanks to our studied server, grateful for her guidance in curating such a splendid spread. The next morning, our last, we settled in at a table in the rear of The Macintosh’s looming dining room. Somehow hungry despite the weekend’s endless indulgences, we made our selections. For my husband, it was The Duke: pickle-brined fried chicken, jalapeño cheddar gravy and a fried egg atop a dense, flaky biscuit. I chose a kale salad, a potentially dull dish served anywhere else, but made extraordinary at The Macintosh with grilled patty pan squash and zucchini, crunchy peanuts, vibrant kimchi puree and tangy soy ginger vinaigrette. To call a dish with such effusive flavors a salad almost seems a disservice, and for a moment, I contemplated ordering up a second serving. With our bellies full and our spirits high, we wound our way through the thickening crowd, and we found our car at the curb. This town had once again worked its magic, and we set out toward Atlanta with the unmistakable flavors of Charleston still lingering on our tongues and in our hearts. In the heart of Atlanta,17th South magazine reaches active, exploration-minded residents ages 24-65 who want to experience the best the area has to offer, through stories and features on individuals and businesses they can relate to in their direct communities. We feature of-the-moment and hidden gem restaurants, beautiful private homes, philanthropy, arts and cultural offerings, and the trendsetters and tastemakers who are making it happen! © Copyright 17th South. All rights reserved.